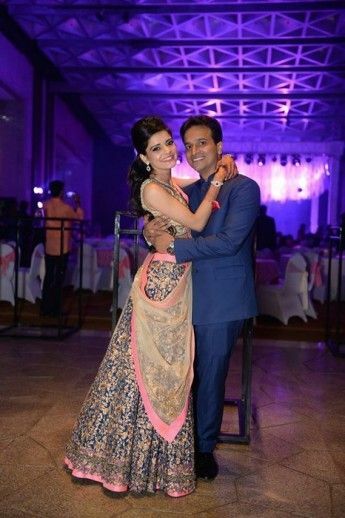 An engagement in Mumbai in hues of Blue! True Fact: Ombre cakes are EVERYTHING. 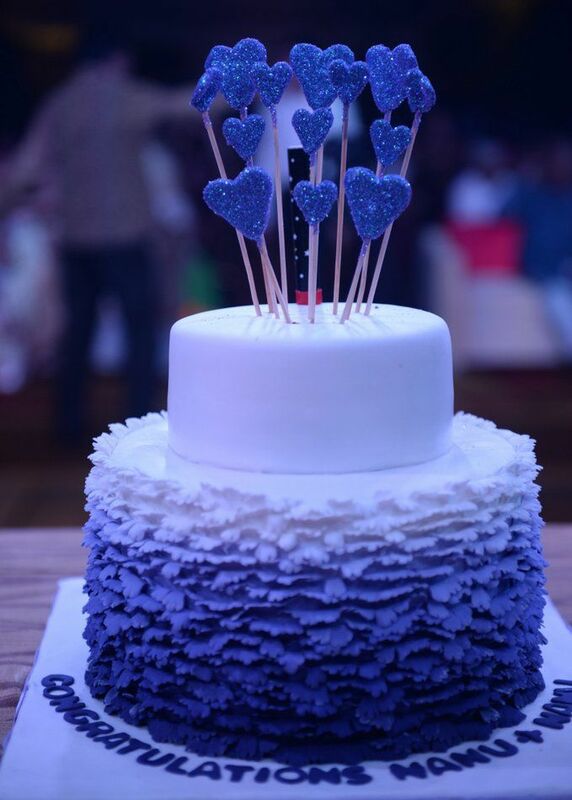 But when you do them up in hues of soft Indigo blue to complement the brides stunning deep blue lehenga, and top them up with sparkly little hearts, you create something that's just too pretty to eat . Gorgeous split shank engagement rings (which were engraved with messages to another) , a beautiful Prussian blue Jade outfit , and a 'how we met' story you will want to read! He is from Delhi, she's a Mumbai girl and while the boring version is that they met at law school and dated for 7 odd years; What really happened is that both of them have the same nickname at home called "Nanu". So how they really met was when someone called out to Anunaya and Nidhi turned around thinking they were calling her (WHAAA.T..). The rest as they say is history. So Bollywoood, but so true! 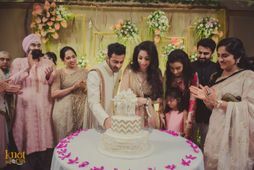 Love the lehenga, the rings and the cake! 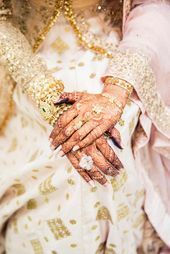 From the bride: Anunaya is my boyfriend of 7 years and the transition from boyfriend to fiance took place recently in August ! 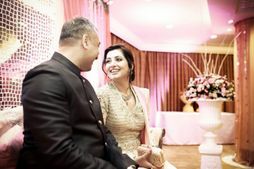 He is from delhi, but we managed to have our engagement in Mumbai and I had such a great time that I thought I must try and help other brides out there with my experience . 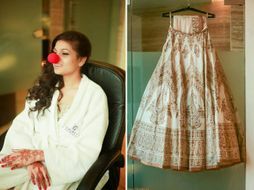 The engagement took place in Hyatt Regency in Mumbai, and we tried to incorporate as many unique elements as we could. 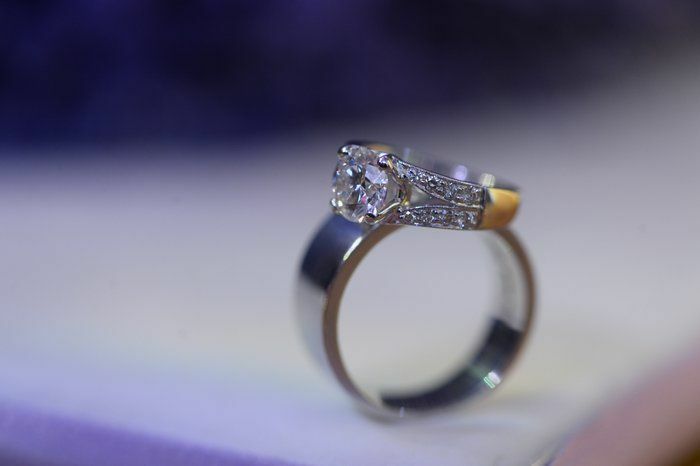 For starters, our engagement rings were both engraved on the inside with messages to one another so they were really special to us. 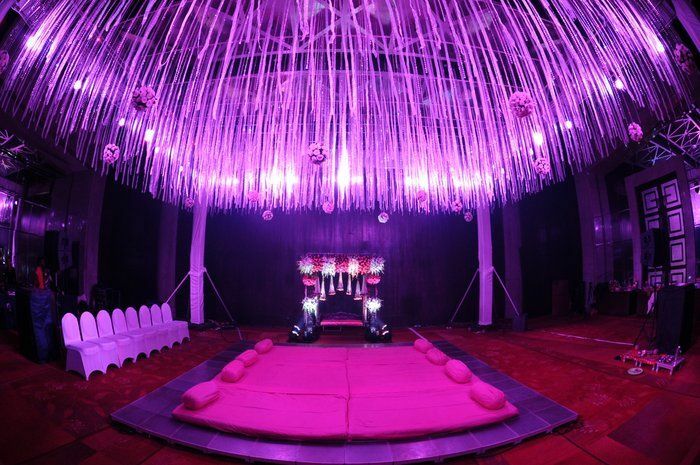 For the engagement event itself, we had a floral jhoola that was done up for us to sit on and we utilised space cleverly by putting pink gaddas on the dance floor for the pooja, and then removing them when the after party and DJ got on. The dance floor was color changing and had a laser base which was the perfect backdrop for the craziness to follow. My friends also got some fun props for the DJ session which just added to the mood. (viewable in full gallery) My photographers- were Clicks n Frames. 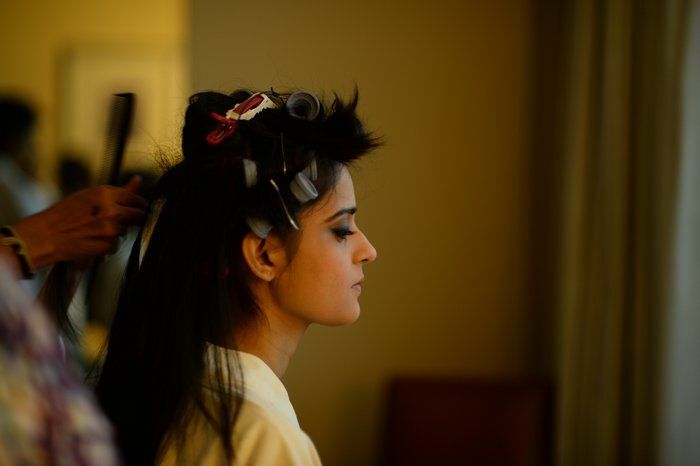 They are based in Gujarat but we have known them for a while and absolutely love their work. 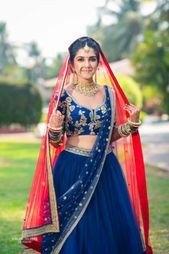 My outfit was an all over embroidered Prussian Blue lehenga with a gold blouse and a candy pink edging which just seemed to lift the entire outfit. 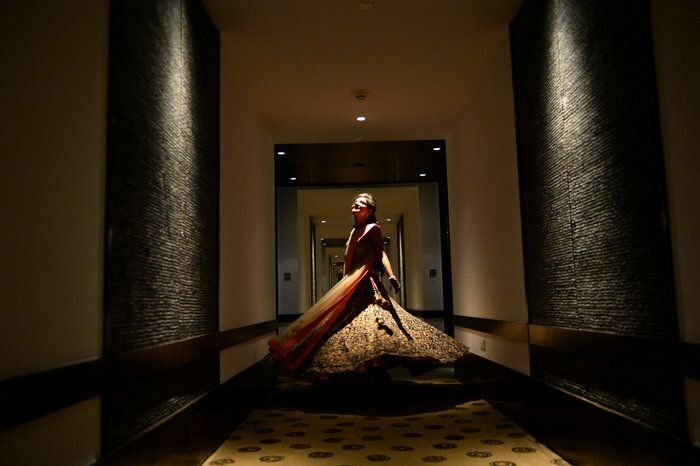 Pretty Mumbai Wedding With A Bride In An Unconventional Blue Lehenga! Dreamy Engagement in Mumbai With a Hint of Mint! 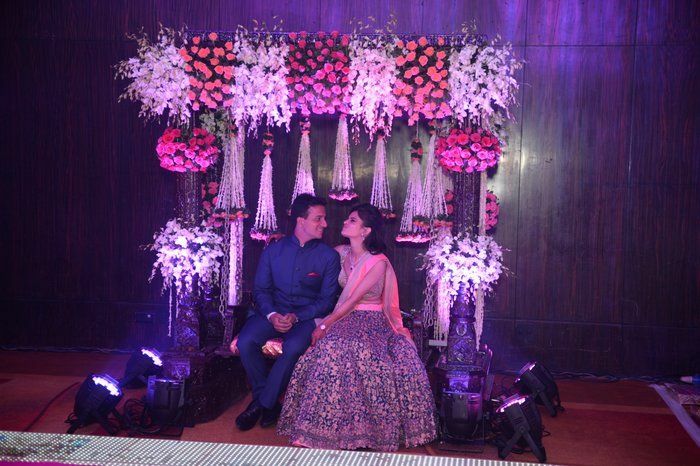 Beautiful Wedding In Mumbai With An Elegant Backdrop! 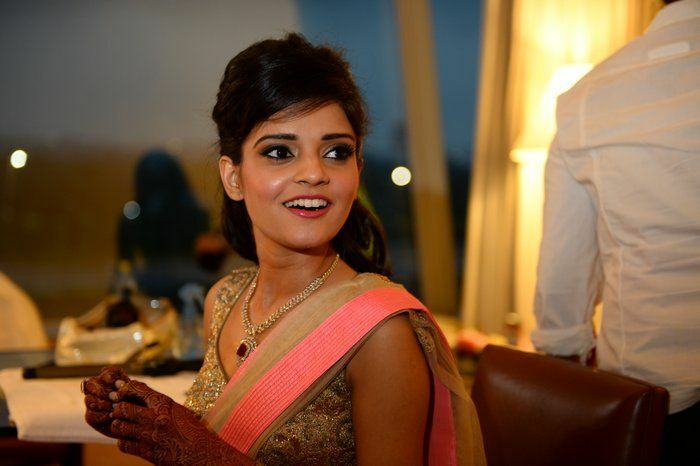 10 Modern Ways To Style Your Kanjeevaram Sari!